As a general rule of thumb I find myself tending to favour the feminine entries in Amouage’s annual fragrance duos. Epic Woman is no exception, it fits the Amouage feminine bill of being rich, floral, oriental, laden with spices and extraordinarily sensuous. 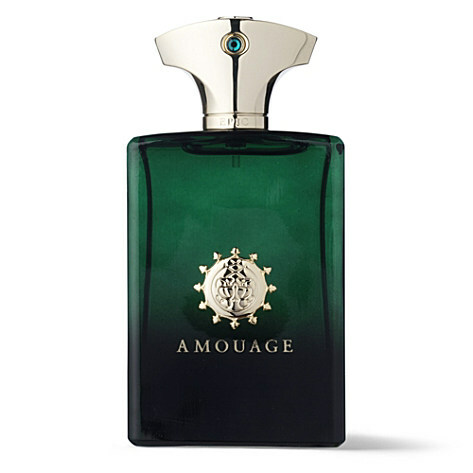 Oh yeah, the Amouage Woman is a complex character. Epic Woman starts soft and sweet with a sprinkling of pepper and a dusting of cinnamon. There is a slightly, and I do mean slightly, sweaty undertone to the initial flash of spice thanks to a delicately measured dose of cumin. The opening manages to be rich and opulent (a word that I always use when describing an Amouage scent) without being oppressive or heavy, in fact I would go as far as calling it delicate. The heart is a stew of honeyed flowers, swirling in their own juices and delicately dissolving and exuding their scented facets slowly. The rose, which is of the fruity, boozy variety, is the main player for a significant portion of Epic Woman’s heart, but as it softens accents of freshly brewed jasmine tea drench the rose in green hues, casting the rose in shadow. A touch of sour, medicinal oud adds to the rich wine-like quality of Epic Woman’s rose. Epic Woman finishes her aria with a soft blend of dry woods, incense and what can only be described as a “translucent amber”. All of this is laid over delicate and creamy vanilla, which like everything else in this Epic tale is understated, elegant and soft. If Gold Woman is Amouage’s diva then Epic Woman is her shy sister, whose beauty lies in intelligence rather than brash ostentation. 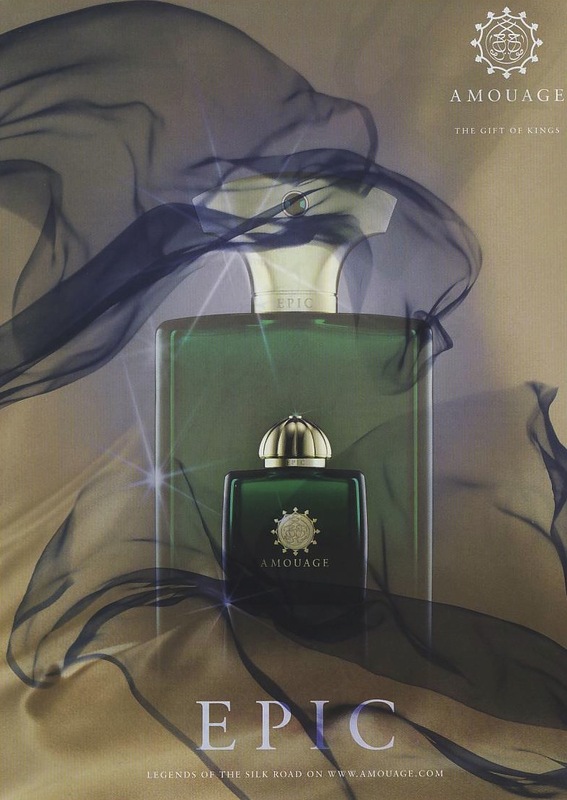 Now, as I mentioned above I do tend to favour all things “woman” when it comes to Amouage, but that’s not to say that I don’t enjoy, and wouldn’t contemplate purchasing any of their masculine offerings. In fact I could quite happily add a bottle of Memoir Man (ugh it’s so good) to my collection and I wouldn’t scoff at a bottle of Epic Man either. Like its feminine counterpart, Epic Man opens with pepper, except the dose here is more of a dash than a sprinkling. A good pepper note is one of life’s greatest joys and Epic Man doesn’t disappoint, the pepper in the top notes is suitably nose-tickling and gets the thumbs up from me. This highly approved pepper is joined by a bustling spice market of notes, the most prominent of which are saffron (sour, shiny and ever-so-slightly milky) and cardamom (nutty, incense-y, aromatic and anisic), to give Epic Man a strong and enticing opening. Epic Man’s main structure relies on a strong and surprisingly dry oud note. To my nose the oud smells fuzzy, almost as if it has had all of the sharp, medicinal and harsh edges shaved off, leaving only the rich, spicy facets behind. It feels similar to YSL’s M7 in the latter’s far dry down, however Epic Man is spicier and smoother all round. The oud is held firmly in place by strong pillars of cedar, frankincense, patchouli castoreum and leather, all of which are notes erring on the harsher side of things but thankfully, and largely due to creamy sandalwood and soft musks, Epic Man has a beautifully deep and smooth base. It is safe to say that Epic Man surprised me, it feels incredibly versatile and would suit most men for most occasions and it ranks highly as one of the best masculines in the Amouage stable. Whilst compiling this review Nigel kept sniffing the air and asking what smelled so good, he has since worn it a couple of times and it definitely gets the thumbs up for him, which is no mean feat seeing as he doesn’t often like a fragrance enough to comment. Thumbs up all round then! Epic Woman and Epic Man are both available in 50ml (£160/£140) and 100ml (£190/£170) Eau de Parfum. Matching body products and an Extrait de Parfum (£275) are also available for Epic Woman. This review is based on samples of Epic Woman and Epic Man provided by Les Senteurs. Posted in Amouage, Feminine, Floral, Masculine, Oriental, Oud, Perfume Reviews and tagged Amouage, Epic, Epic Man, Epic Woman, Floral, Oriental, Oud, Perfume, Silk Road. Bookmark the permalink. Thinking about it, Epic Woman would be the one I would choose for you B, so it’s no surprise that it was your first Amouage love. Epic Woman is wonderful! 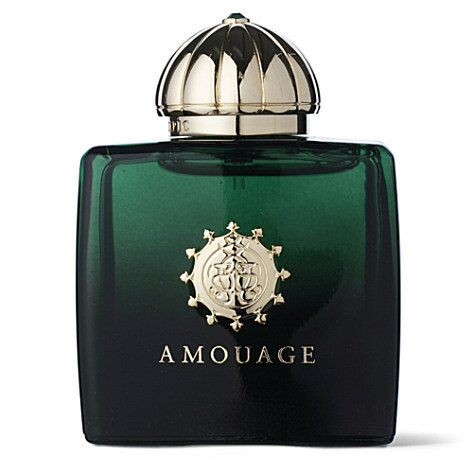 I don’t own a FB from Amouage yet and am currently dithering over the choice between Epic and Memoir Woman. I can understand your dithering, choosing between Epic Woman and Memoir Woman is definitely difficult. The Nigel stamp of approval is hard to come by nowadays. I will always think of you when I smell Epic, it is YOUR perfume after all :P.
I’m glad to have done it justice! I like Epic Woman a lot and happily wear it from time to time (from a decant) as well as I like most of Amouage creations but my heart belongs to Ubar. Thank you for reviewing beautifully one of the great perfumes! Ahh yes, Ubar is beautiful too, it was the first Amouage I ever tried!